Following the 1945 Allied victory of World War II, demobilization and a return to a peacetime military were the orders of the day. However, enjoying the peace was short-lived as the United States and the free world were confronted with an aggressive new adversary—the Soviet Union and the threat of global communism that was rapidly devouring Eastern Europe in the aftermath of World War II. 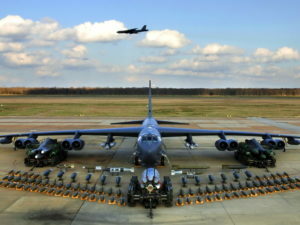 A U.S.-directed strategy of ‘containment’ and a buildup of strategic forces capable of deterring an aggressive communist menace drove the expansion of dispersed bomber assets and new basing which put Mather Air Force Base (Mather AFB) back into the spotlight. 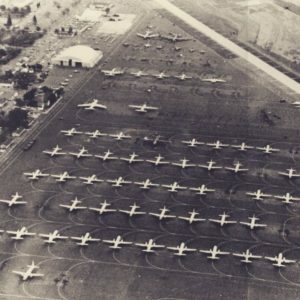 In 1946, Mather was transferred to the U.S. Air Force (USAF) Air Training Command and once again became a vital training base producing pilots, navigators and observers to crew a growing air arm of the nation’s military might. With the 1964 closing of James Connally Air Force Base in Texas, all navigator training for the Department of Defense was consolidated at Mather AFB. In 1976, Interservice Undergraduate Navigator Training was established bringing Navy, Marine and Coast Guard students to Mather AFB along with other students from numerous foreign countries, including the first women navigators. By the time Mather closed in 1993, over 32,000 USAF navigators, 3,100 USN naval flight officers, 280 Marine navigators and 3,500 navigators from 88 Allied nations had completed training at Mather AFB. This diverse mix of services and international families contributed significantly to the growth of what would become the City of Rancho Cordova, an All American City with a rich cultural background. The aircrews that were trained at Mather formed the backbone of strategic forces that stood watch over America and her Allies ensuring the legacy of Freedom, hard won during World War II would endure. 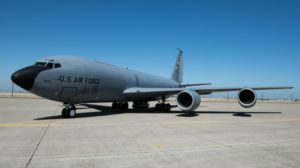 The 4134th Strategic Wing was assigned to Mather AFB bringing B-52 and KC-135 aircraft to the base along with the mission of nuclear deterrence. This wing became the 320th Bombardment Wing and was further augmented by the 940th Air Refueling Group (AFRES) later bringing additional KC-135 aircraft to the base. The efforts of maintaining peace through strong military capability resulted in a victory at the end of the Cold War. With this victory, downsizing of the American military became inevitable and Mather AFB became one of the bases identified for closure. 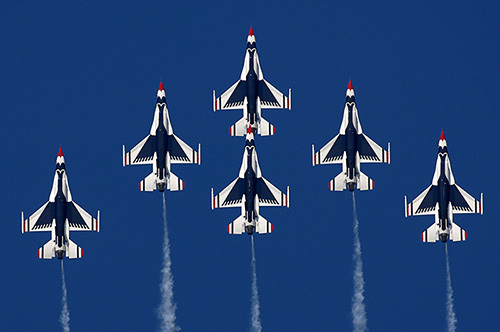 Units were inactivated, the navigator-training mission was transferred to Randolph AFB in Texas and the base was officially closed in September 1993, opening the door for a community effort to develop Mather into an economic hub of commerce that would continue to benefit the Sacramento region. The Sacramento County Department of Airports and the City Rancho Cordova have been invaluable partners ensuring this important development continues. Don’t miss the California Capital Airshow’s tribute to Mather Airport’s fascinating century of history this September as it brings this era back to life with the aircraft, artifacts and unsung heroes that have passed through Mather’s gates.